Cardinal is proud to be a non-profit organization and strong supportor of our community. Cardinal values diversity, inclusion and community support. Through lacrosse Cardinal participates in a variety of efforts to support womens' issues in our communities across the region. Cardinal also supports several women's causes through the sport of lacrosse. Finally, Cardinal provides scholarship opportunities for qualified players and an opportunity to compete at the highest level. We are excited to have Laura Leigh as our Diretor of Community Relations and Charitable Giving. Below are a few of the important causes and opportunities Cardinal supports. 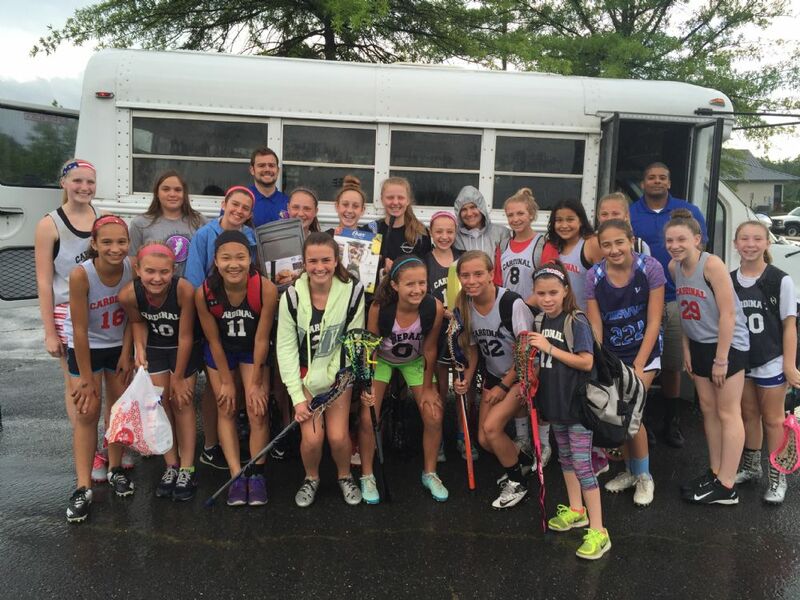 In 2016 Cardinal Girls Lacrosse Club partnered with Fairfax County to sponsor a household goods drive for the Katherine Hanley Family Shelter. The Katherine Hanley Family Shelter provides a safe, temporary home for families, where they can receive help to assess their needs and develop a plan to locate permanent housing as quickly as possible. The shelter is an integral part of the county's 10-year plan to end homelessness. About 20 families live at the Katherine K. Hanley Family Shelter. Most of the families are mothers with school-age children. Cardinal families donated over 20 medium size boxes of household goods and over 300lbs of supplies to support the Katherine Hanley Family Shelter which provides support for homeless families and those in transition. Cardinal is one of the original participants in the Lax For the Cure lacrosse tournament. Lax For the Cure is an official title sponsor of the Komen For The Cure and the fight against breast cancer. Cardinal has raised over $25,000 to support this critical battle. 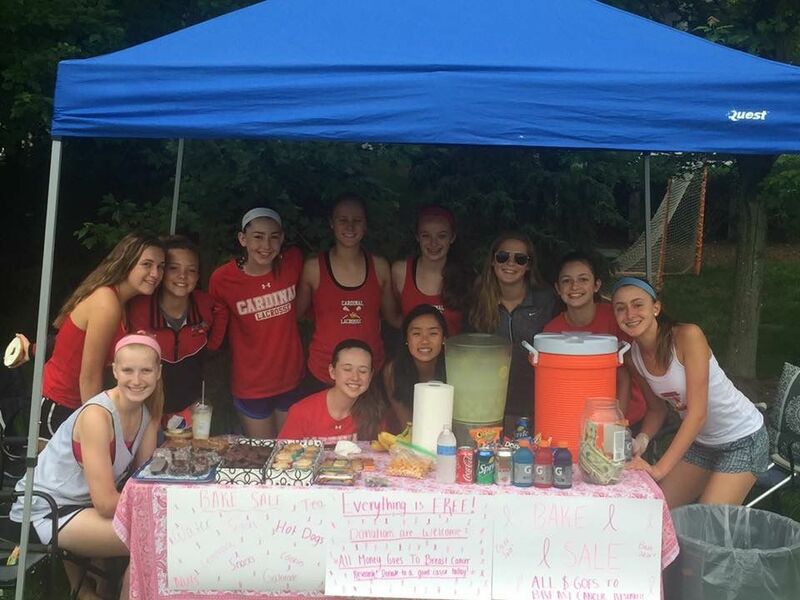 You will see Cardinal Girls Lacrosse Club soliciting donations each year to support the Lax For the Cure tournament. Please help us win this battle! The Cardinal 2020 raised over $7000 for Lax 4 The Cure in 2016. In picture several 2020's hosting a bake sale at a local golf tournament. They raised over $900 at the event in June of 2016. First Class Cardinal! 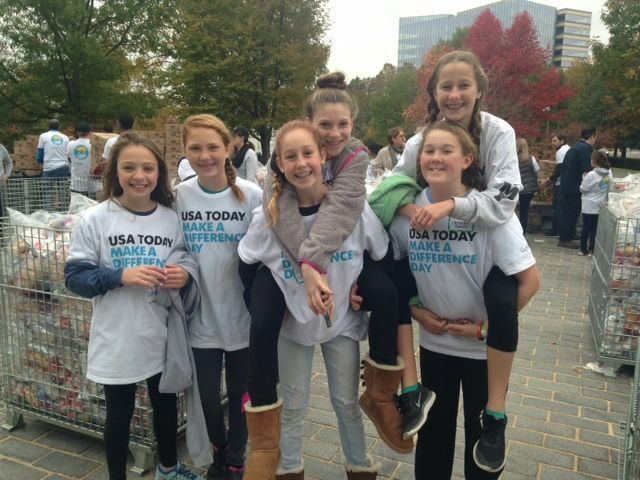 The Cardinal 2021 Team participates in the USA Today Make a Difference day. Make A Difference Day is one of the largest national days of community service. Celebrated on the fourth Saturday of October, thousands of volunteers unite in a common mission to improve the lives of others.